Human Rights Day this year marks exactly 10 years since the final TRC recommendations were handed over to then-President Thabo Mbeki. Civil society says there is a significant amount of unfinished business relating to these recommendations with issues like reparations, compensation, and prosecutions needing to be addressed. The TRC gripped the nation, called a crying commission by some, but the man at the helm of the process was confident about its outcomes. “It’s been incredible. There are two impressions. One: how could we ever be so ghastly? The depth of depravity takes your breath away. That’s the one side. The other side is almost exhilarating – that people, who have suffered so much as these, should have the capacity to forgive …and the dignity that is being affirmed, says former Archbishop Desmond Tutu. Very few of the Apartheid Government’s top brass gave unequivocal apologies, but at least some were brave enough. One of the then top brass, Leon Wessels says: “In many respects I believe I did want to know. In my own way I had suspicions of things that caused discomfort in official circles but because I did not have the facts to substantiate my suspicions or I had lacked the courage to shout from the rooftops. I have to confess that I only whispered in the corridors. That I believe is the accusation that people many level at many of us that has not been levelled. We simply did not and I did not confront the reports of injustices head-on. But the question is being asked whether that was enough, after all, it could not undo the past. Apartheid Inc. – Profile of a racist corporation. In 1914 J.B.M. Hertzog forms the National Party. The following year Nasionale Pers i.e Naspers is formed by the same man, along with a daily newspaper, De Burger, later known as Die Burger. 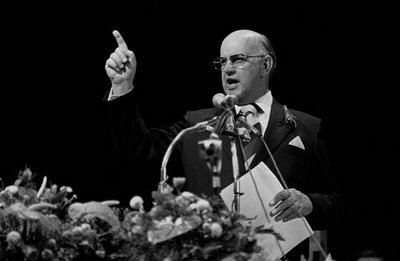 D F Malan, a former minister in the conservative Dutch Reformed Church is persuaded to become editor and is the main supporter of Hertzog’s National Party. In 1916 Naspers publishes its first magazine Die Huisgenoot. In 1918 the company takes a further step towards expansion when its book publishing operations is founded as Die Burger Boekhandel. D. F. Malan is one of the driving forces behind the organisation. Piet Cillié editor of Die Burger from 1954 until 1985 is a staunch supporter of the National Party, under B J Vorster and P W Botha. Cillié upholds the apartheid system through many pro-segregation editorials until the very end. 1984, Naspers, as part of its broad propagandist strategy acquires Drum Publications, with titles consisting of City Press, Drum and True Love & Family. As well as a 50% interest in Jane Raphaely & Associates. In 1985, under P W Botha, Nasionale Pers enters into an arrangment with Perskor, the media company founded by HF Verwoerd and publisher of Die Vaderland and Transvaler to form an all-white, Afrikaner-owned electronic pay-television media business, called M-Net, the new entity eventually lists on the JSE Securities Exchange (JSE). In a submission to the Truth and Reconciliation Commission (TRC), former Rand Daily Mail journalist Raymond Louw is recording as having felt “it was significant that M-Net, soon to be owned by a consortium of newspapers, got its licence in the same month as the Mail was closed” although any connection is denied by the government until this day, The Mail was clearly closed due to pressure from the Botha government and covert operations conducted by the Broederbond and Bureau for State Security (BOSS) as part of the Information Scandal. In 1987 Naspers introduces English family magazine You. In 1993, M-Net is divided into two companies — M-Net itself becomes a pure pay-television station while the company’s subscriber management, signal distribution and cellular telephone activities are formed into a new company called MultiChoice Limited (later renamed MIH Holdings Limited). Nasionale Pers itself lists on the JSE on 12 September 1994 and in 1998 the group’s name is officially changed to Naspers. The TRC is set up in terms of the Promotion of National Unity and Reconciliation Act , No 34 of 1995, and is based in Cape Town. The mandate of the commission is to bear witness to, record and in some cases grant amnesty to the perpetrators of crimes relating to human rights violations, reparation and rehabilitation. Naspers publications publish cartoons depicting P W Botha as the only man able to stand up to the TRC. P W refuses to participate. The TRC is also depicted as a ‘biegbank” or confessional and the Archibishop’s participation as nothing less than an inquisition. In 1997 the TRC holds a special hearing into the Media, comprising four sessions in Johannesburg, (15 – 17 Sept 1997). The Afrikaans press declines to make a submission to the Commission. Instead, it provides the Commission with a copy of Oor Grense Heen, the official history of Nasionale Pers (Naspers). In the TRC investigation into the role of the Afrikaner Press under apartheid, Prof Arrie de Beer appears in his personal capacity as “a former full-time and part-time journalist in the Afrikaans Press” and as a university media lecturer and media researcher (session 4). “There are many pseudo-legalistic and particularly sarcastically spiteful arguments in the Afrikaans media and elsewhere, why people or institutions should not appear before the TRC. These are almost as cynically brutal as the friendly open faces of the people who testified in the Vlakplaas and Hani cases as the perpetrators of these deeds, where they chose their words with great circumspection to condone the deeds before the TV and the public.” Prof de Beer. FINALLY, after years of delay tactics and talk of a “blanket amnesty”, the much vaunted post-TRC prosecutions have arrived. A huge relief not only for the immediate victims of war-crimes and crimes against humanity but for all those South Africans who experienced apartheid and the military junta of Botha-Malan-Vlok. If anything, the prosecutions will re-affirm the commitment by anti-apartheid activists to ending racial superiority in all its forms, and strike a note with those who criticised the TRC for not having any muscle. What is the use of granting amnesty to perpetrators of criminal activity if those crimes are later excluded from our social discourse? There can be no Truth and Reconciliation without Justice and this missing element in our body politic will hopefully put the ghost of apartheid to rest,finally, as perpetrators are brought to book, in part for not having the guts to admit their wrongfulness or guilt before a world-wide audience. Let there be peace, transparency and openness as the country watches, listens and waits for the post-TRC trials to start, and for the transgressors to be sentenced. Only then can we hope to achieve a national reconciliation built upon the moral structures of the anti-apartheid movement, one that refused to cowtow to the illegitimate structures of the apartheid government and which still aims to create a nation that is wider and broader than any single political structure or party. As a war resistor I would also like to take this opportunity to renew my call for a national reckoning and atonement for the Border War and for our government to apologise to the frontline states, especially Namibia and Angola, for the war crimes carried out in the name of the Republic of South Africa.